An email Q & A with Expedia’s Alex Gisbert – We talk to Alex about the recent announcement about the Yahoo! – Expedia partnership that introduces Expedia’s travel booking & packaging engine on Yahoo! sites across Europe. [Hotelemarketer.com] It’s great to hear about the recent partnership between Yahoo! and Expedia in Europe – could you tell us a little more about the deal and how this impacts the consumer in particular? [Alex] Expedia is providing a travel booking engine on Yahoo! Travel sites across Europe (UK, Ireland, France, Germany, Italy and Spain) in addition to a deals module which will be updated in real-time with the latest offers from Expedia.Through this deal, consumers will benefit from the rich editorial content provided by Yahoo! along with our sophisticated search technology and inventory of over 127 000 hotels and more than 450 airlines. We know that all travellers have very different priorities and these can change depending on the occasion, their schedule and their general travel preferences so we are constantly expanding the range of filters we offer so users can find exactly the right accommodation offering for them – in the last couple of months for example we have added both a green/sustainable hotel filter and an LGBT (Lesbian, gay, bi-sexual and transgender) friendly filter. The combined strength of the partnership brings users both inspiration of Yahoo!’s content and the ability to refine this choice according to their preferences and book with assurance that you are making the right choice by checking their choice with a variety of mapping options, reviews from previous Expedia customers and photos. We understand that consumers use a variety of tools and sites when planning and researching their travel online and we want to make that process as simple as possible for travellers so we believe it’s important to work with sites like Yahoo! where we can offer relevant complementary services to save travellers time in their research. It’s very much about bringing our service to the user wherever they are to save them time. To take another example, earlier this year we launched a specialist IE8 travel browser with Microsoft in the UK offering the user ready access to a number of Expedia’s services such as hotel deals, lastminute deals, currency tracking and a co-branded weather tracking so that users can keep up to date with the latest deals, currency and weather changes whilst carrying on with their normal browsing activities. [Hotelemarketer.com] We believe Expedia has quite an extensive affiliate network – what sets this particular partnership apart from the usual affiliate relationship? [Alex] The main difference here is the fact that this is co-branded integration rather than a link from Yahoo! to Expedia. In addition, both Yahoo! and Expedia have larger plans to leverage each other’s content and ability to inspire travel. [Hotelemarketer.com] Why did Yahoo! choose to partner with Expedia in Europe vs Travelocity in the US for example? Was this purely a divisional decision or were there specific advantages involved for both companies in Europe vs other OTAs? [Hotelemarketer.com] Expedia is clearly one of the leading OTAs – if you were to do an objective analysis, what are the clear advantages Expedia has over other OTAs in the space…and where do you think can Expedia stand to improve? [Alex] As the leading global player in the market, there are many compelling reasons for our partners to work with Expedia. Flexibility is a key advantage that we offer which is attractive for both consumers and partners. Our partners are able to work with us in a range of ways ensuring that they can promote great deals through Expedia which in turn means we are able to offer a wide range of offers to suit the specific needs of our consumers. Perhaps one of our most appealing aspects for both advertisers and consumers is our dynamic packaging (Flight+Hotel) offering through which the hotel rate is bundled in with the air fare. The Flight+Hotel product can offer strong savings for the consumer as hotels can list their services at lower rates than they would be able to where these rates are explicitly displayed. Obviously to compete in such a fast-evolving marketplace we need to be continuously innovating so we are currently working on developing a range of new marketing solutions for our partners to further expand the range of solutions we offer. Where Expedia can improve: This has been a turbulent year for the travel industry and all players have faced unprecedented challenges. The pressure of the volcanic ash crisis on a number of key parts of the business highlighted a number of weaknesses which we are currently working to improve on – the ability to respond faster and provide up-to-date information for our consumers being a particularly key priority for us. From a partnership perspective you have to offer range and choice along with the technology to deliver to the wide spectrum of travellers and satisfy the demand that a site like Yahoo! Travel has. Expedia not only has this, but additionally is also able to account manage and deliver technically. We believe the infrastructure to deliver this consistently across a European scenario is unique. Our ability to offer the same high standard of service to both customer and co-brand partners alike along with the same product and technology offering is what we believe truly sets us apart from our competitors. [Hotelemarketer.com] What are your thoughts on the recent moves by major search engines like Bing and Google into the Travel vertical? How can OTAs like Expedia combat these giants when it comes to providing consumers with better “decision engines” and facilitating travel planning? [Alex] The online travel space has seen a wide range of new developments over the last decade and these are very interesting times in the online travel world. There’s always been a close relationship between travel and Search and there are a number of opportunities which this presents for collaboration. For example, we recently launched a new service www.expediahotelview.co.uk using Google’s Street View technology which enables users to view the hotel exterior and take a virtual walk around the area before booking with Expedia. Ultimately it all comes down to the consumer and service and confidence are crucial. For businesses to succeed they need to really listen to the consumer and understanding their travel booking needs. With over 12 years of knowledge of consumer travel planning behaviour we believe we are well–placed to pre-empt changes in behaviour and ensure that we are constantly innovating to offer the right solutions for the ever more-sophisticated travel booker. Being able to provide them with the right functionality and services to enable them to cut through the vast range of choice and information the internet offers to find the perfect option for their holiday or business trip combined the reassurance that they have made the right choice and can relax and look forward to their trip is vital. 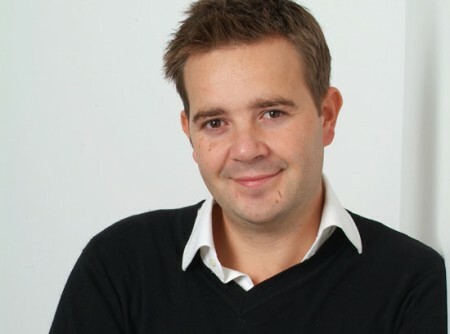 Alex Gisbert is Director of Online Partner Marketing for Expedia in Europe. Across 12 countries in the region, Online Partner Marketing at Expedia encompasses the marketing efforts across branded affiliates, display, metasearch and various other online Expedia partnerships. He joined Expedia in 2007 as Regional Director Strategic Accounts responsible for the negotiation and management of the hotel deals and relationships with the major hotel chains across the EMEA region for Expedia’s Partner Service Group. Alex joined Expedia from Opodo UK where he was Commercial Director. Prior to that he spent 4 years at the Thomas Cook group working within the Tour Operations group and the E Commerce Divisions. Alex won Travolution Magazine’s Rising Star of the Year award in 2009. He is also soon to join the Tnooz team of bloggers or Tnoooz “nodes”. Alex is from Mallorca in Spain and studied at the University of Exeter. Liked your posting a lot. I’ll be browsing your website regularly.